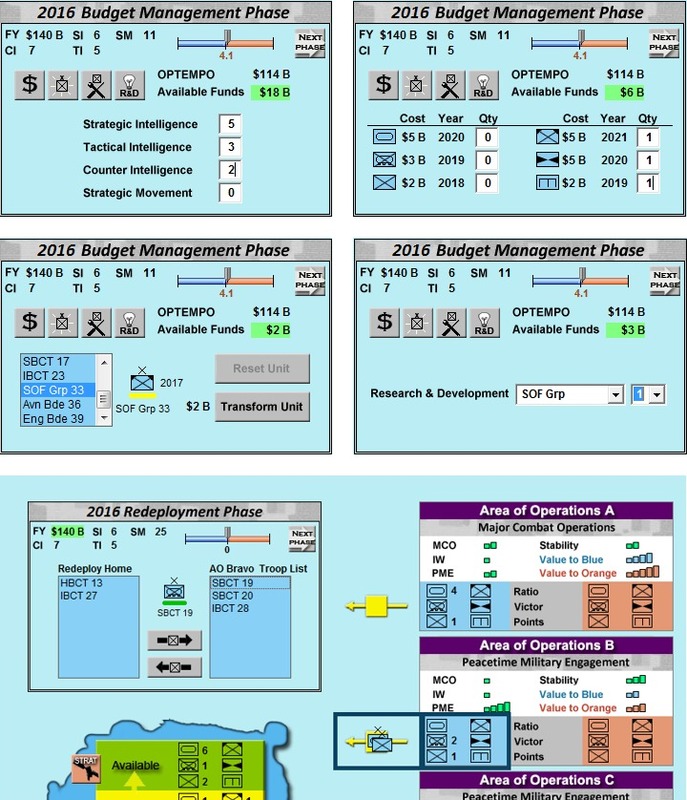 Future Force was designed for The Army Command and General Staff College to help train military leaders in force management and resource allocation. It is not a traditional type of wargame - players do not move counters on a map and engage in specific combats. 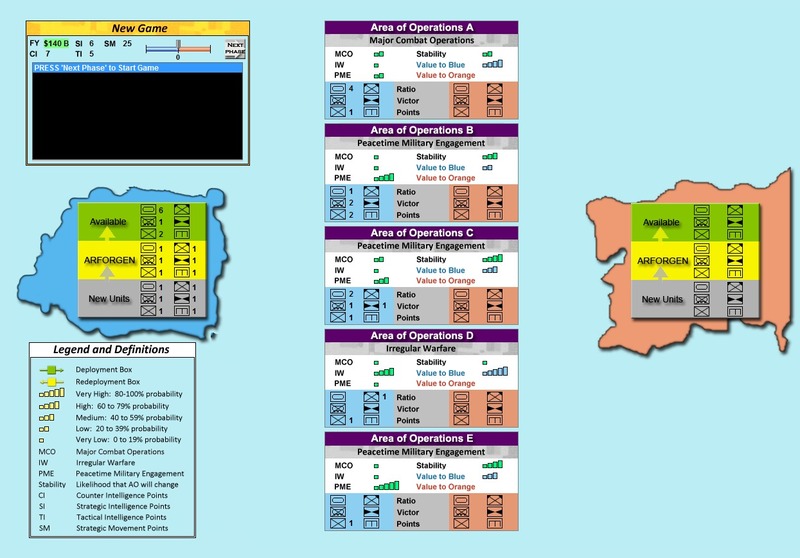 Instead, it portrays the short term and long term effects of decisions the players make in deciding what force structure to create and maintain, where to allocate resources, and how to effectively manage the Army’s budget during a simulated twenty-year period against current and emerging threats. 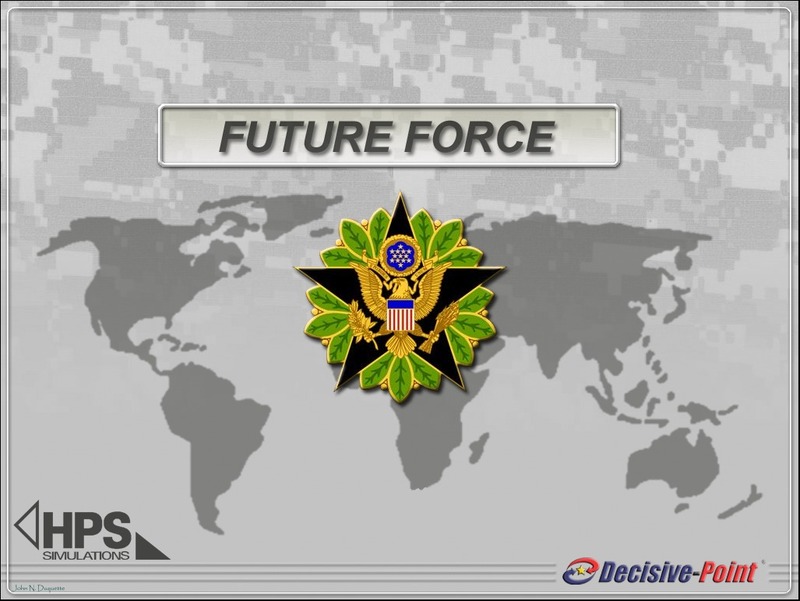 Future Force was specifically designed to be 'easy to learn, simple to play', and to create an addictive learning environment where Army leaders feel compelled to repeatedly practice the targeted skills until they achieve success. Play cycles automatically between the various action phases in simple steps, allowing for new players to quickly pick up the system and how it operates. In each phase players either allocate available resources to the various programs, or they deploy/redeploy their forces to and from the five “Areas of Operations” (AO's). 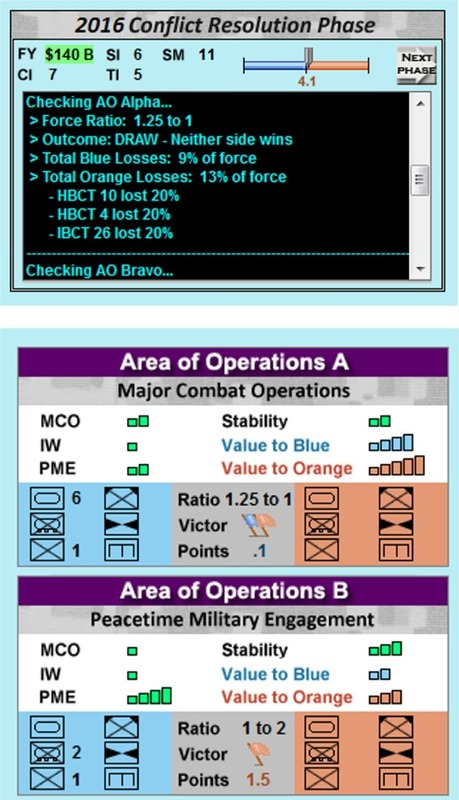 Outside of these decisions, the AI handles all of the actual movement and combat operations. It also assesses losses and determines AO control. 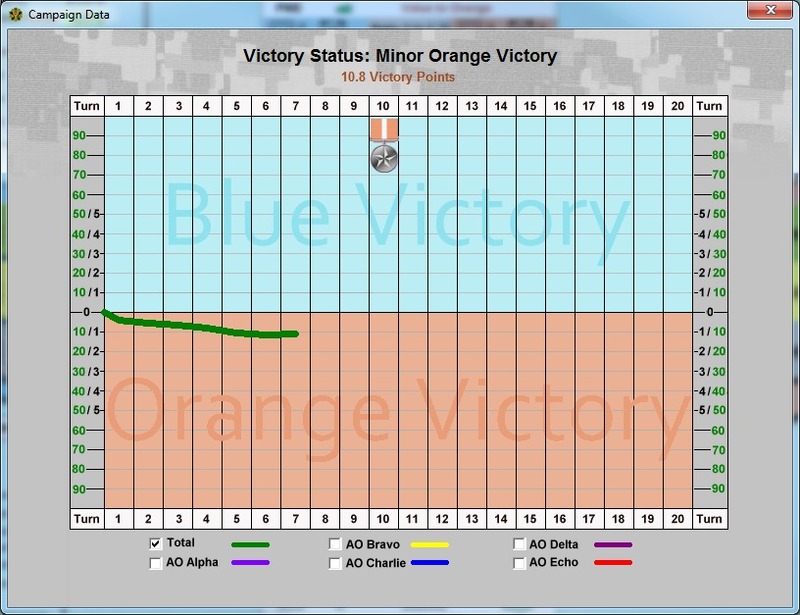 At the end of each phase players are informed as to what happened, subject to Fog of War, and points are awarded based on the level of control in each AO and the relative “importance” of the AO to each side. (Click for full size) The overall concepts are straightforward, but the game offers players complexity if they want it. In fact, with things shifting and changing all the time, often unpredictably (as in real life), each game is different, and each game is challenging. AOs are rated by their level of importance to both sides, the type of military operations present within the AO (Peacetime Military Engagement, Irregular Warfare, and Major Combat Operations), and the likelihood of change during the upcoming year (stability). Other phases include combat operations, force generation, and research and development. The number of units that can be moved is dependent on the player's strategic lift capability, and the types of units (each unit has it's own cargo cost). All of which is constrained by the Army’s annual budget. Real Learning and Real Fun! As in the real world, to be successful players must be able to prioritize the allocation of forces to the AOs that are most important now while creating, maintaining, and deploying forces that will succeed in the future; all of this accomplished within an ever-changing world against a cunning enemy who has the same goals. Note: There is NO Play by e-mail (PbEM) option. TCP/IP network card and an Internet connection for multi-player games.